We're Talking About CivWorld. Right Here. Right Now. Welcome, folks, to the first meeting of the Kotaku Game Club, CivWorld edition. I hope everyone's been enjoying the game so far. For those of you who are having trouble getting into our game, I apologize; we're working on getting everyone in. Time marches on: That's what I learned from CivWorld this week. Every time I come back to the game, something has changed. A new era has begun, associations have shifted, war has broken out. As we speak, the year is 1532: the game has progressed thousands of years since the it began three days ago. If your power goes out for an hour, generations will pass you by. If you decide to get a good night's sleep, you might wake up to find that other players have left you in their dust. Given the mantra of Facebook games, one would assume that CivWorld would be more casual than its Civilization cousins. 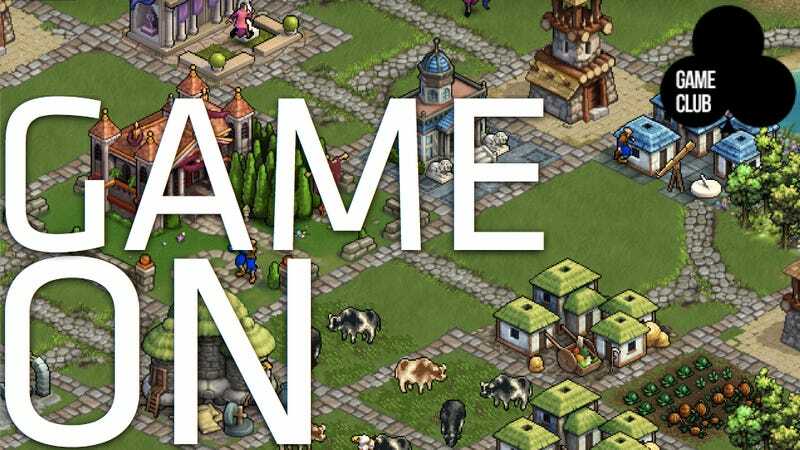 In fact, CivWorld brings a whole other level of intensity to the table: Not only is the game time-consuming, but it is actually demanding of your time. To play the game well, someone must always be around to monitor the progress of both your civilization and your enemies', and steer your group towards victory. Even with the responsibility divided amongst a large group of players, that is not the type of bite-size gameplay one would expect. For that reason, personalities of CivWorld seem to run to extremes: Those who play casually, ignoring the large-scale problems of winning and losing, and those who embrace the challenge, approaching the maintenance of their group as if it's an obligation. I say obligation because it seems that the players who've taken that path seem to feel unappreciated. I've talked to more than one player whose unmatched devotion to the game seems to have left them feeling stressed and unappreciated: "Whenever I go to sleep, the game falls apart." is something I've heard more than once. The fact that CivWorld can make a person feel that way shows how powerful the social gameplay model can be. On the other hand, it's disconcerting that the game can command a player's loyalty, even after the game seems to have become a chore. We'll be talking about CivWorld again next Thursday, August 11th, at 4pm Eastern.